A two bedroom semi-detached house in Bridgnorth which could be ideal starter home or buy to let investment. 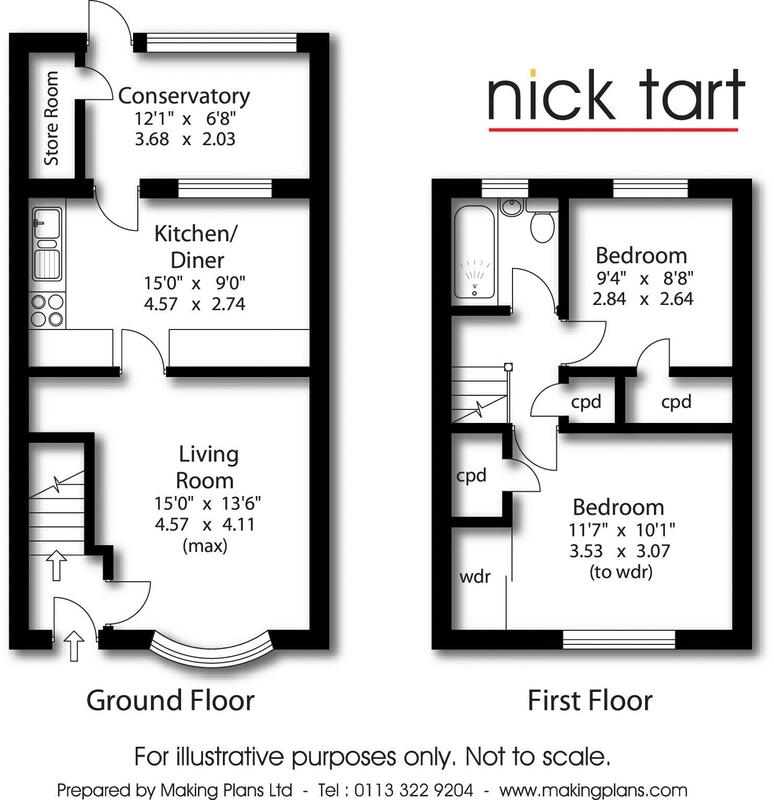 The property benefits from double glazing, gas central heating and ample storage areas. Downstairs comprises entrance hallway leading to living room, dining kitchen and conservatory with store room off. Upstairs master bedroom to the front with built-in wardrobes and cupboard, second bedroom to the rear also with built-in cupboard, family bathroom with wc, wash had basin and bath with shower over. Outside is a low maintenance rear garden to the rear which has been hard landscaped and backs onto countryside with a pool. The front garden has a decorative gravelled area with shrubs and trees. Viewing recommended. ENERGY RATING D.